few weeks in reality...only a few weeks so SORRY! I have missed you all, missed reading your blogs too. truly gorgeous quilts for some clients of late. 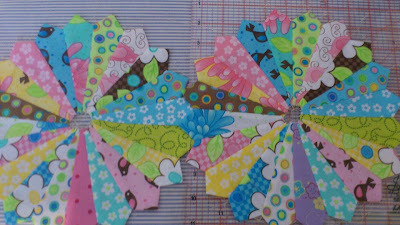 girls tree quilts... below is the tree with a birdy in it. and some lovely dresdens to be added to their quilts.. They are almost finished and ready to quilt, bind and be loved. So keep watching this space for the final result...you'll love it too! did get a look in these last few weeks as well. appliqued or ready to applique, all they need now is their stitching done. and hopefully I can catch back up again. It helped me slow down that day...I had a read and sipped some tea..
and it was such a delight to read. it was so much easier to read the patterns this time I must say. Grab a Handmade next time your out...you'll be thrilled too. 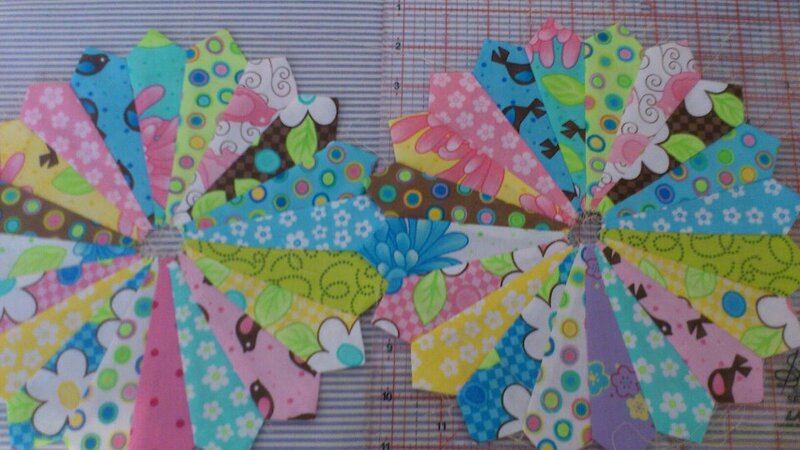 Now to finish some quilts that are eager to be quilted. Beautiful Dawn, I can't wait to see the finished quilts! Your SKOW blocks look great too. And what a lovely gift from Jenny!! Looking forward to seeing the girls quilts finished. Gorgeous little parcel of goodies - so pleased you were able to sit and enjoy them for a bit. 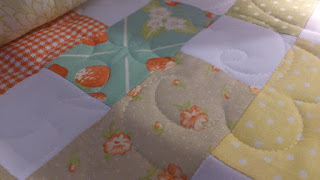 Gorgeous quilts you have to work on, and love how the ones for your girls are looking. Lots to keep you busy. So pretty. That Jenny is so sweet.